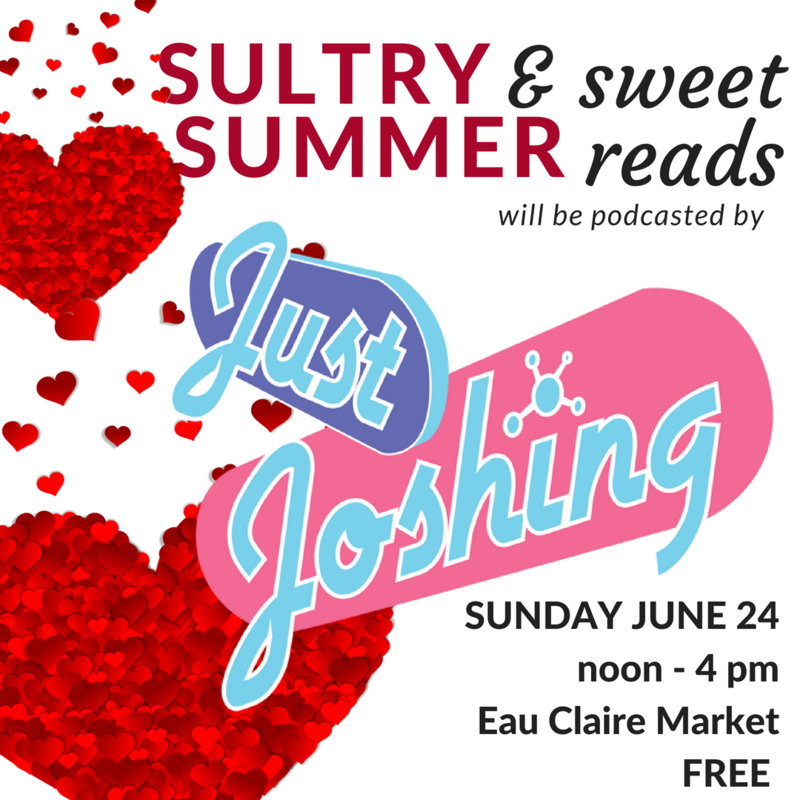 I love podcasts and I love podcasters and luckily for me, podcasters love me, so we are going to have the fab and soon-to-be-award winning JUST JOSHING podcast livecasting the entire SULTRY & sweet SUMMER reads YYC event on June 24. How did we manage that, you ask? I think it’s because I once gave Just Joshing’s Joshua Pantalleresco an interview so good, he needed a cigarette afterwards. It’s August 2017 and I’m moderating my first-ever conference panel at When Words Collide. I’ve got horror writer (and then-Kobo mastermind) Mark Leslie, sci-fi YA author Nicole Luiken and writer/artist Brandy Ackerly in the house, and we’re being held up by the absence of our fourth panelist. Some guy named Joshua Pantalleresco. Dunno who he is, but I already hate his guts cause he’s making my panel start late, and screw him, I’m going to start the show now. And then, this dishevelled dude runs into the room lugging the world’s biggest suitcase, mumbling apologies as he delivers his own introduction, and that, kittens, is how I met Josh Pantalleresco. The story of how I eventually forgave him for being late to my panel (I run a tight ship, babes) we will save for another time. I ended up being a guest on his podcast Just Joshing later that fall, and we talked for hours about life, universe, and everything (if you have three or four hours, I’m episode 138 and 139 of the podcast) (ok, I think he cut it down to two and a half hours, but still). So I can totally say I knew him “back when”—because Just Joshing is now a short-listed finalist for the Aurora Awards in the “Best Fan-Related Work” category. Nice work, Josh. 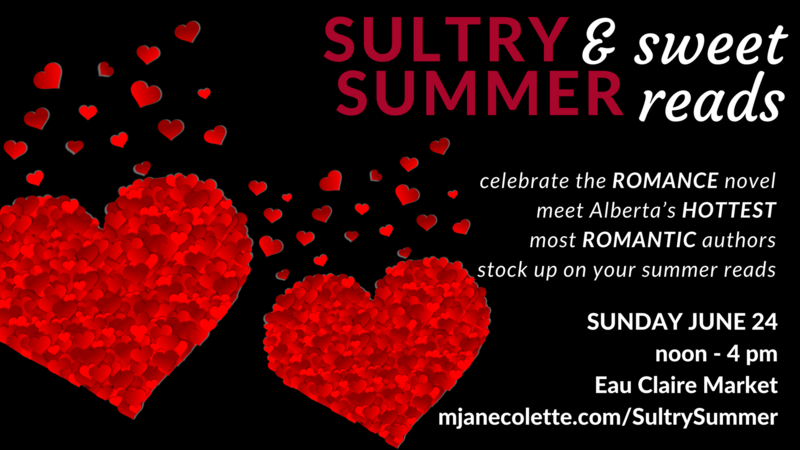 If you come to Sultry Summer on June 24 and meet Josh, you’ll be able to say you knew him when too, because this will be before the Auroras are announced. 😉 Just Joshing will be live-podcasting during the entire four hour event—because I’m cruel (er, visionary) and Josh is naive (er, cooperative) and also, he told me a while ago that he wanted to do a 24-hour or 48-hour long live podcast sometime soon, and I think it’s important to PRACTICE. You can check out past episodes of Just Joshing on iTunes and PlayerFM, among other places. Oh, and Josh writes too. He’s the author of The Watcher Trilogy, which begins as an epic poem about a Slave boy that escapes his dragon masters and goes into a post-apocalyptic wasteland (The Watcher), continues in Stormdancer, and ends with The Wandering God, released just this past spring.